Coronary atherosclerosis is a pervasive disease. One early study of autopsy cases in New Orleans showed that 99% of individuals dying between the ages of 30 and 69 had significant raised atherosclerotic lesions (1). Every year over 5 million individuals are diagnosed clinically as having coronary artery disease. The ultimate toll of this disease is staggering with approximately one million myocardial infarctions and 500,000 deaths per year due to ischemic heart disease in the United States alone (1, 2). 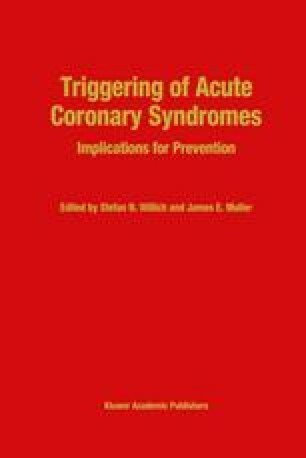 Since approximately two-thirds of the deaths occur suddenly, primarily among patients with known coronary atherosclerosis, there is a need to identify which patients with known coronary disease are at increased risk and may benefit from aggressive intervention such as surgery, angioplasty, or intensified medical treatment.